It’s a rare occasion when Pine Island campers get to watch T.V. But for two days in July a small group of campers got to go to Applebee’s in Waterville to watch World Cup games. Saturday, July 7th started as a normal day at camp waiting in the activity line when Sumner asked to talk to me. He told me that since I had listened faithfully to many World Cup games on the radio, I could go watch the semifinal game between France and Belgium. Our group consisted of all the French boys and a few other faithful World Cup followers. We also got to watch the finals on Sunday, July 15, when France and Croatia played. All the French boys went crazy when France won the World Cup. France had only won once before in 1998. It was great to share this exciting victory with the French campers. We were greeted by the cheers of the whole camp when we returned to the island after Sunday’s game. This article was first published in the 2018 edition of The Mid-Summer Pine Needle and most recently in the 2019 edition of The Pine Needle. 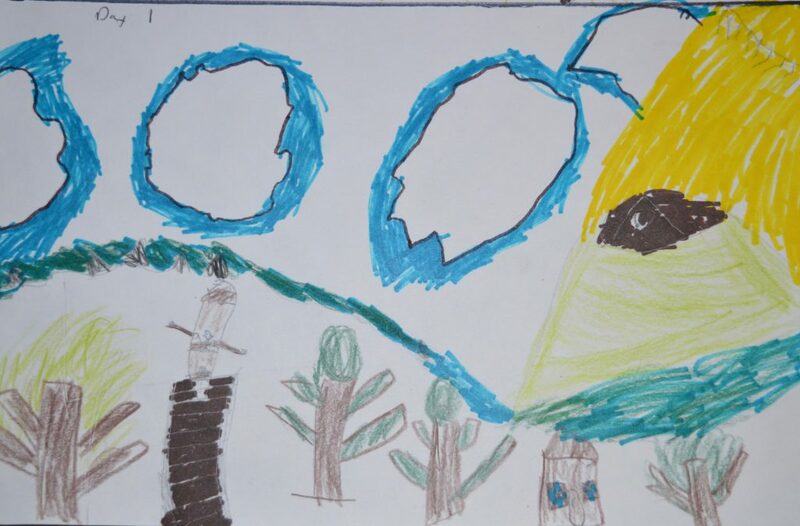 This entry was posted in Campers write, The Pine Needle on February 6, 2019 by Pine Island Camp. Pine Island’s 117th season was another great one! 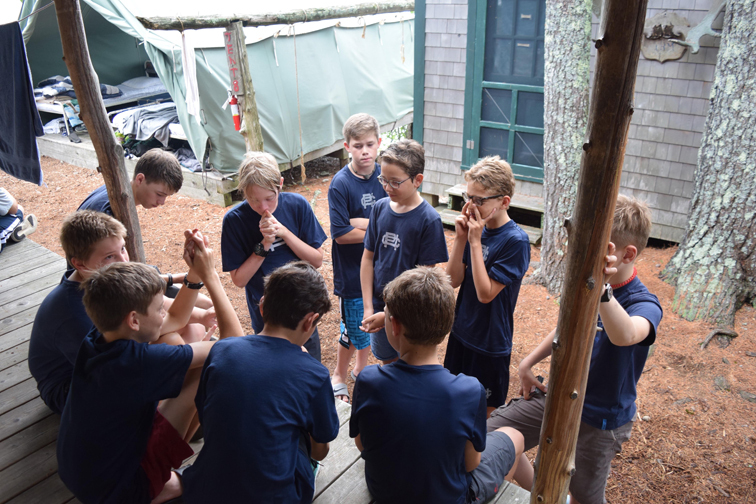 Our campers earned ranks in their favorite activities and built solid shelters in woodcraft, beautiful projects in the workshop, and most importantly, a community in which each boy’s participation and energy was needed and valued. It was an incredible summer and we’re grateful to our campers, parents, staff and volunteers for making this season such a success. 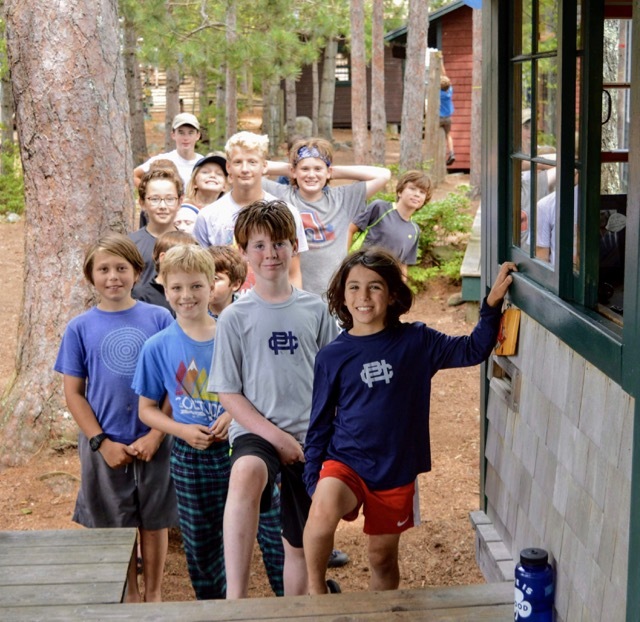 For some more insight into our summer, you can view our 2018 At a Glance gallery and read the Mid-Summer Pine Needle, a terrific collection of camper articles and art. Enjoy! 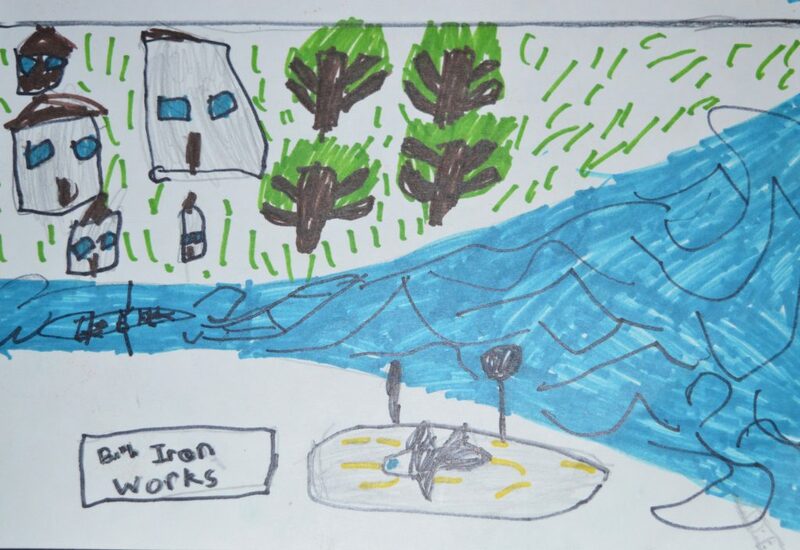 This entry was posted in Campers write, views from camp on September 20, 2018 by Pine Island Camp. Pine Island’s 116th season was another great one! 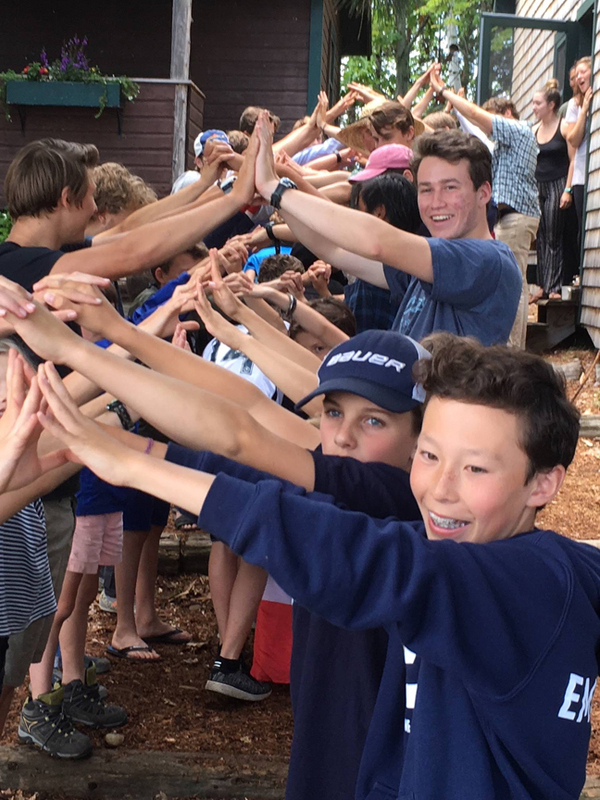 Our campers earned ranks in their favorite activities and built solid shelters in woodcraft, beautiful projects in the workshop, and most importantly, a community in which each boy’s participation and energy was needed and valued. It was an incredible summer and we’re grateful to our campers, parents, staff and volunteers for making this season such a success. 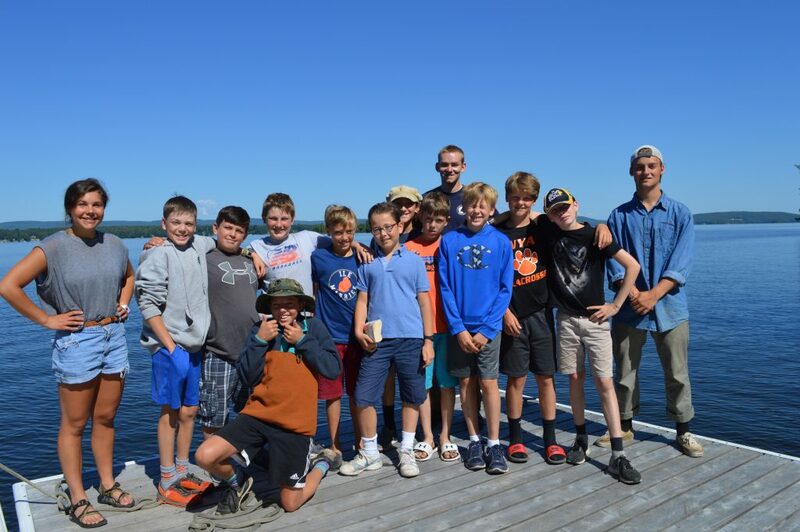 For some more insight into our summer, you can view 2017 at a glance and read the Mid-Summer Pine Needle, a terrific collection of camper articles and art. Enjoy! This entry was posted in Campers write, The Pine Needle, views from camp on September 20, 2017 by Pine Island Camp. 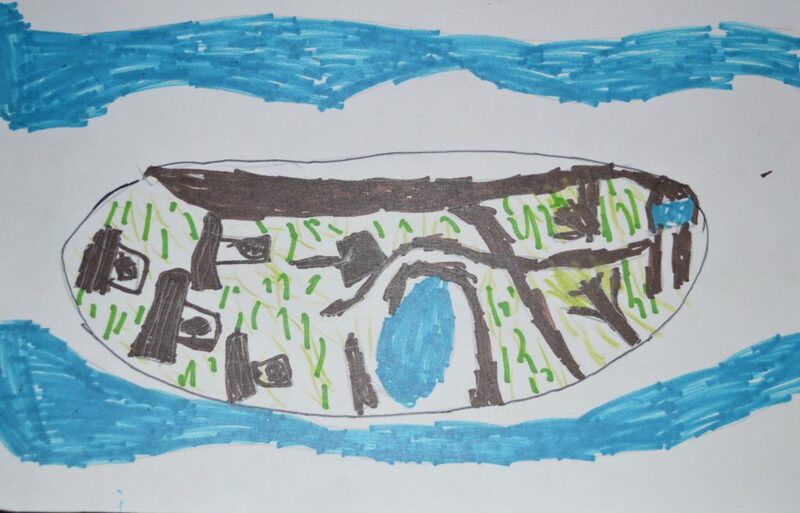 This 2016 trip report was written by Alex S. (age 13). Illustrations by Daniel O. 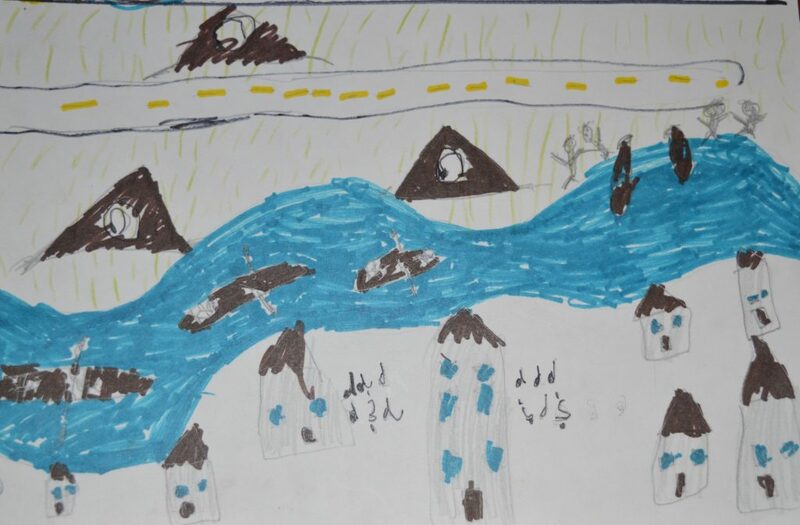 (age 9). ONG BAK (Oarsmen Now Going Backwards Along the Kennebec) is a 4-day, 3-night rowing trip along the Kennebec River. It covers 40-50 miles and was an extremely exciting adventure. Our journey began with a 30-minute drive to a boat ramp. We drove through Waterville very slowly, for we had five row boats strapped to our trailer. Once we dropped our boats in the water, we had an easy five-mile row to our first campsite. It was a beautiful day, not a single cloud in the sky and the sun shimmering on the water. After we pulled in to our campsite, we hauled up our boats and brought all of our group gear to the campsite. Everyone took a rest hour, and eventually we had dinner, created a fire, and had a very relaxing evening. A second day started with a 7:00 wake-up to breakfast burritos cooked by “Master Chef Noah Brodsky and assistant Jacob Ronson.” We finished breakfast, got in our boats, and began rowing. After eight miles of easy rowing, we arrived at our grassy, “urban” campsite. It was only 11:30, so we had lunch, a dip, and a long rest hour. After the mellow afternoon, we had some fantastic spammies for dinner and entertainment provided by a band playing in the town of Hallowell right across the river. It was great weather and a very enjoyable day. We wound down the day in high spirits, played some Frisbee, and danced until sundown. Our third day was strenuous. It commenced with oatmeal overloaded with M&Ms and almonds. We started with a leisurely row. As the day went on, the wind started to pick up, and by mid-day there were whitecaps on the river. The last four miles was the most difficult day of rowing I had ever had – until the next day! Though we hugged the shore, there was still a large headwind that was extremely hard to row through. We even had to cross the river multiple times and had to row as hard as we could through the waves and wind. Eventually, after hours of battling the wind, we arrived at our magnificent campsite called Swan Island. We stayed in lean-tos along the edge of a lawn. We played Frisbee and had gado-gado (peanut pasta) for dinner and prepared for our last day, the most challenging of all. We awoke at 5 a.m., for we had a long day ahead of us. Our pickup was at 1:00, and we really wanted to make it on time. We loaded our boats and left camp at around 6:30. We rowed along Swan Island, and as we approached the end of the island, the river started to open up more and more and the wind started to pick up. The river continued for many miles of brutal wind. Getting closer to our pickup, we reached the Chops, a narrow strip of river surrounded by radio towers, with whirlpools in the water. The river continued around island and in curves along the land. As our glorious adventure came to a close, there was still one more arduous section of our journey to complete, the Bath Iron Works. There was one last mile of the biggest headwind and monstrous waves. The kept rowing through the tempestuous waves. Our blisters were bleeding, but we just had to keep going, for we had no choice. Everyone was screaming words of encouragement. Finally, after hours of rowing, we reached our destination. We put our boats on the trailer and were treated to lunch at Fat Boy’s, a famous drive-in in Brunswick. It was an awesome trip and and a fantastic experience. This entry was posted in Campers write, The Pine Needle, trips on May 22, 2017 by Pine Island Camp.